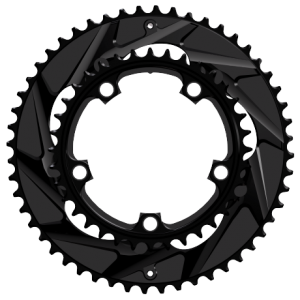 If you’ve ever used a compact or mid compact chainring set, you’ve probably experienced the sluggish up-shift of a 16 tooth jump. Whether it’s a 52/36 or 50/34, these broad range rings are notorious for finicky shifting. No more. Enhanced with WickWerks patented BRIDGE technology, these road bike mid compact chainrings shift faster and more reliably than anything else on the market. When it comes to shifting, they do the work so you can enjoy the ride. 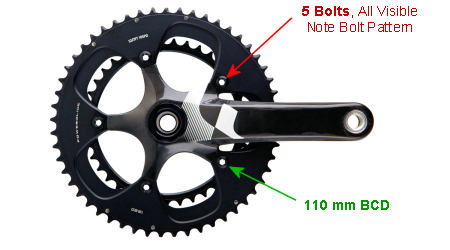 – Fits most models and manufacturers of Standard 5-Bolt Cranks. 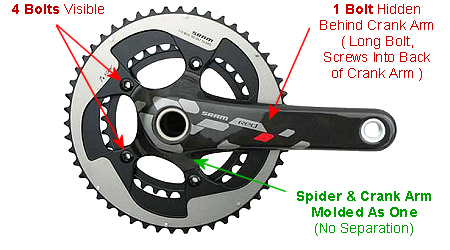 – Fits SRAM 22 Style Cranks (see the Crank Type tab above). 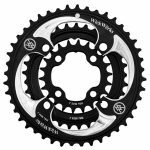 – Select your Crank Type when ordering. 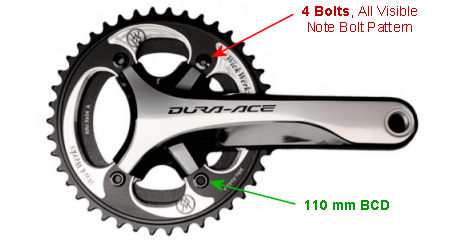 – 10 & 11 Speed Compatible (also works with most 9 speed). 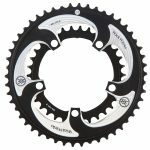 Even if you’ve never considered aftermarket chainrings, these rings are the perfect upgrade for bikes equipped with a road compact crank. They are stronger, light, and cost less than other high-end brands — giving the same dynamic range advantages but with a substantial improvement in shift performance. 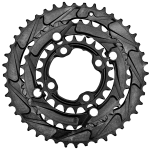 No more baby-ing shifts or having to find the ‘sweet spot’ in crank rotation. When you shift, they shift; no questions asked. 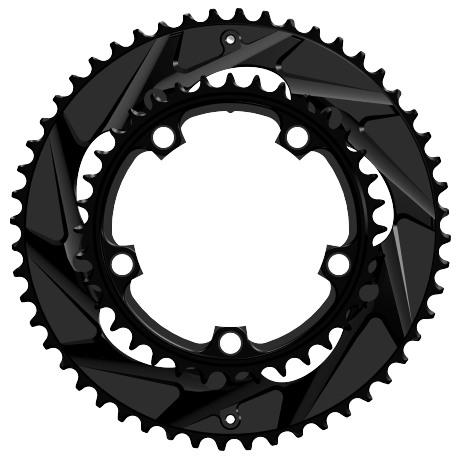 They use standard chainring bolts and fit the common crank brands and bicycle set-ups. 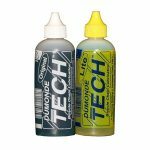 They work with most front derailleurs and shifters. 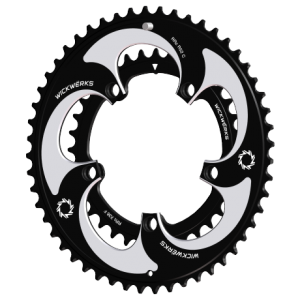 And, they are compatible with all the major 10 and 11 speed configurations. Check out our recommendations for equipment that works best. Note: Our 36t rings have the clocking designed so they work on both the regular 110BCD cranks and the Sram Red22 and Exogram cranks, the only difference is the alignment mark which goes behind the crank arm on the regular 110BCD cranks and points at the crank arm from the opposite side on the Sram Red22 and Exogram cranks. 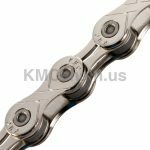 Did you see the awesome radical chain ramps in the product photos? 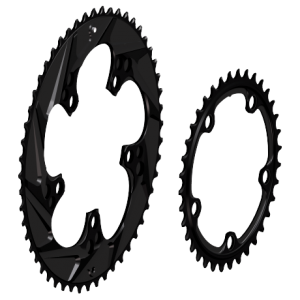 You can check out our Chainring Technology Page for information about what these ramps really do. 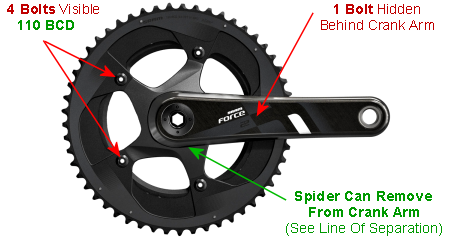 They are the essence of fast, reliable front shifting — our patented BRIDGE technology. 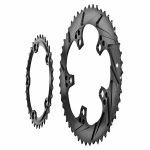 These radical ramps are the key to great shifting, always, even with mid compact size chainrings. Get a set and see. 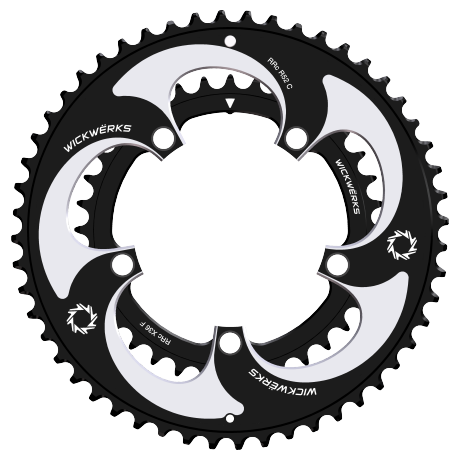 You’ll become one of thousands of other cyclists now riding WickWerks chainrings — and loving the improved shift performance.